So please bear with me for the moment. As you can see there are a couple of changes occurring with the old c.t.overdrive. While it would have been great to implement a full on redesign without any glitches, things never seem to go that easy. Browser compatibility issues, general well it sounded like a great idea at the time and the occasional coding error are causing a bit of trouble. Hopefully hash out these errors by Sunday evening. So check back then. Anyways, Hartford Mayor Eddie Perez met with NHL Commissioner Gary Bettman to discuss the possibility of an NHL Franchise relocating back to the Connecticut Capital. So does that mean that the old Whale could be returning to the NHL? There are it’s doubters, like this misinformed NBC analyst and a handful of others that would like to see the NHL back in Quebec before Connecticut. 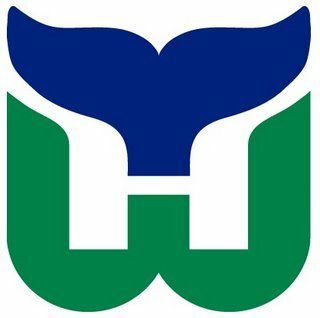 But, with the NHL struggling in Nashville, Atlanta, Phoenix and Miami and the upcoming economic fallout, it is very conceivable that the Whale could be returning. Contracting by 4 teams is not something either the PR reps for the NHL or the accountants at the NHLPA want to even think about. So the numbers look strong for a at least four franchises relocating. This will anger people in Manitoba, but I think the NHL has a stronger chance of returning to a Hartford (1.5 million population base) than Winnipeg. I know Winnipeg has die-hard fans, but it just doesn’t make economic sense. I don’t think it will for at least 5-10 years. Even then, it would take a new stadium and some dramatic changes to the local Winterpeg economy (i.e. a shift from a government town to a more white collar technology town). But Hartford, with a new stadium, is a very viable alternative. It could be the second coming of the Minnesota Wild expansion. Knowledgeable Hockey Fans, a strong hockey tradition (look at the success of the AHL Wolves), and a defacto rivalry with Boston Bruins. And If, as the mayor of Hartford has pointed out, Connecticut is looking at a renaissance; then this truly is a recipe for success. So what are you waiting for Bettman bring back the Whale! This could be the best musical news I’ve come across since rumors of a Chris Cornell/RATM collaboration started surfacing in early 2000’s (albeit Audioslave never did reach those lofty expectations). Anyways, it seems that the Arctic Monkeys are working with Josh Homme of Queens of the Stone Age fame on their third album. Normally collaborations of this sort are somewhat iffy, but Homme’s ear for the unusual riff and the Monkeys impressive sound will make a brilliant record. So to wet your appetite here’s some videos of the guilty parties. So now that Caitlin’s (or Glutastic’s) friends and family have found out about the big secret, I can officially reveal the great news. 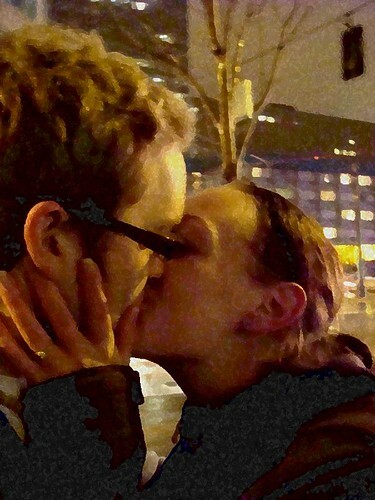 On the corner of Westlake and 7th Ave in Seattle on New Year’s we officially got Engaged. It was one of those perfectly surreal moment surrounded by Fireworks, Rain, Meth-addicted Crank Heads, a Security guard and in the shadow of the Washington State Court House, but it was fantastic and perfect. So with that I get to introduce everyone to the future Mrs. c.t.overdrive. On Friday night I went to the first ever #YYC Twitup at the Auburn. (the #YYC Twits are a collection of like minded techies in the Calgary region (hence the #YYC) who met and formed through various Democamps and Barcamps). Anyways, I met a fellow named Leif who is promoting a Non-Profit called Christmas Futures. It’s essentially an e-card concept, where instead of sending Christmas Cards you forward on e-cards and a donation amount. The receiver of the card then gets to chose which African Poverty project they are interested in participating in. Being that it’s Christmas Eve and I have an immense amounts of time on my hands, I’ve decided to help his cause out with a handful of donations. Feel free to donate $20 or $30 bucks and make a bit of difference. Maybe it means that instead of buying that itunes card for your nephew you instead help a small village with a microloan. Take care everyone and Happy Christmas to you!